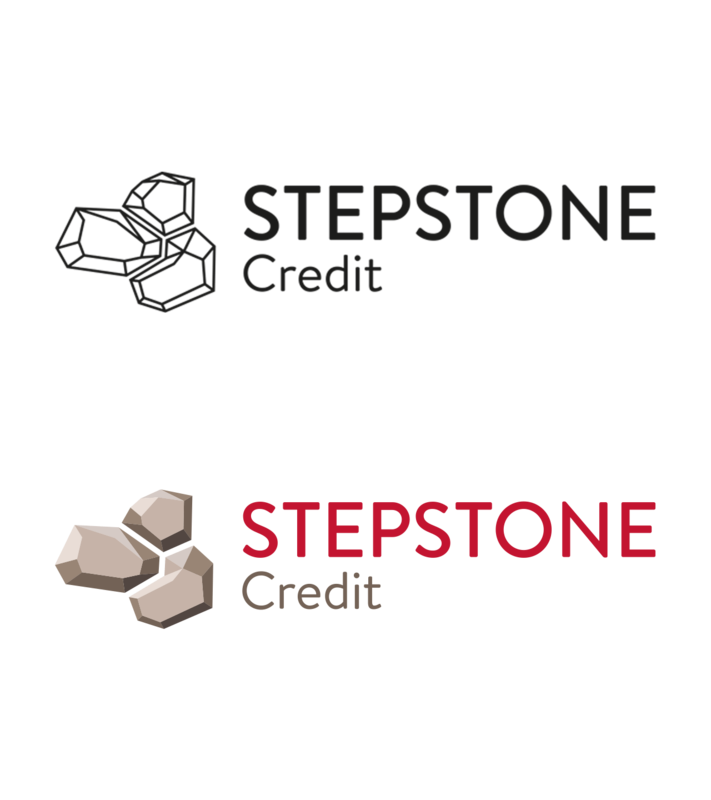 Stepstone Credit came to us on a recommendation (always nice). Their offering was similar but different to the payday loan market. A refreshingly flexible approach. 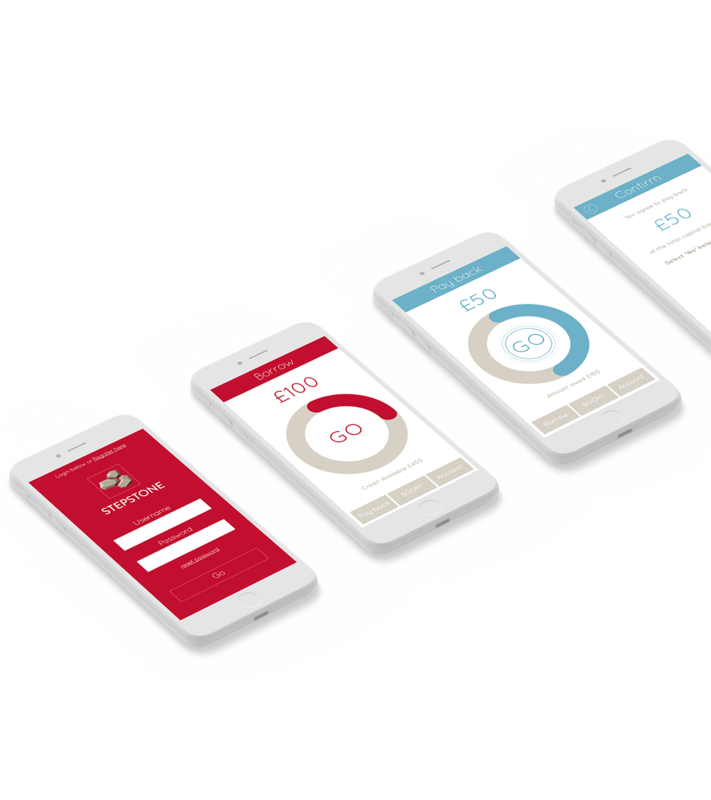 Gulp developed the logo, created branding around digital assets, designed and built the app and designed and built the website. A clean responsive website and app. 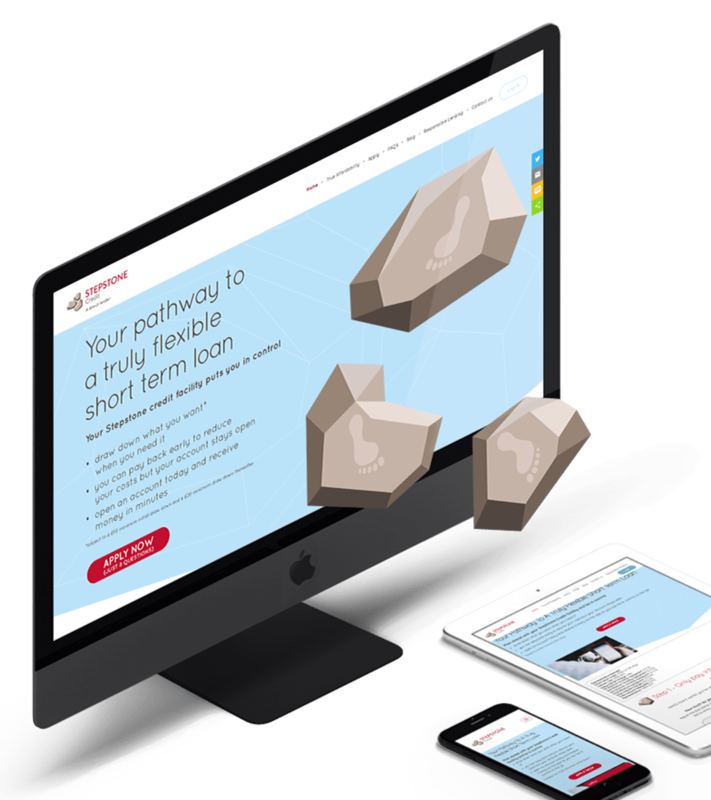 Above all, the solution needed to deliver simplicity at every turn – both the website and app needed to be easy to use in both function and language used. We developed a language style that was both informative and friendly. This was then applied through all communication materials. 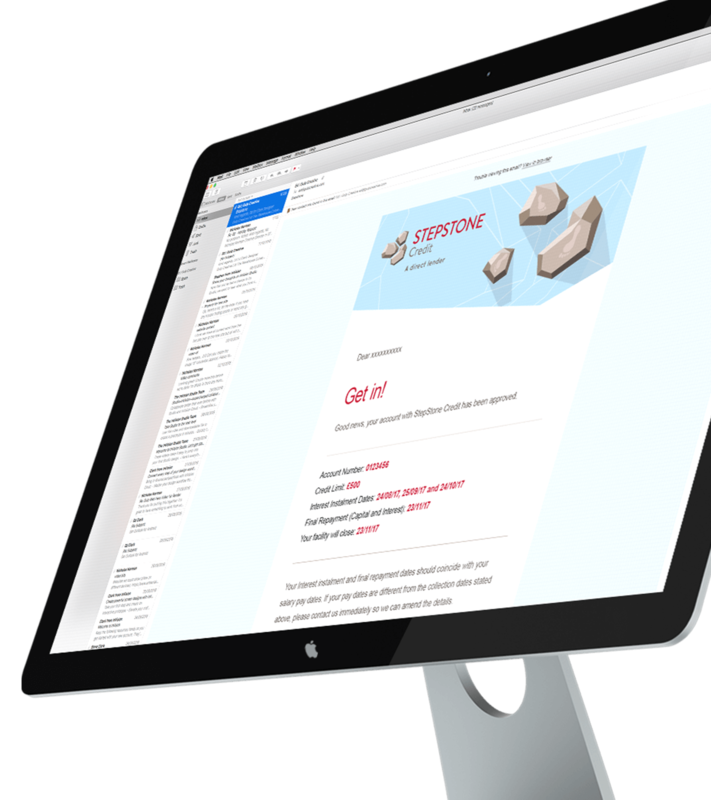 The site is responsive and follows the three click rule. Colour palette is calm and reassuring with splashes of red where action is needed. The app content has been stripped back to make the whole experience as simple as it can be with only essential information on screen, accessible at all times. It’s vital users can access agreed money quickly and simply. We designed and developed a really intuitive dial mechanism for users to dial up how much of the agreed amount they’d like to draw down. This is achieved with minimal interaction through clear on screen messaging. Accounts accessed via username / password gateways. Loan application response emails and communications.